The government just has no right restricting the relatively harmless pleasures of consenting adults. Even if marijuana is harmful – and that is by no means clear – it is the right of every individual to decide whether to take it. Smoking weed is a “victimless crime” where only the user is taking any risk. It is immoral to tell people how they can, or cannot enjoy themselves. Although cannabis may have some medical uses in strictly controlled circumstances, smoking it or munching on space cakes is simply not good for you. Opium poppy derivatives have medical uses – but that doesn’t make heroin healthy. Dope is called that for a reason – it makes you stupid. As well as being bad for your brain, it’s bad for your lungs, bad for your heart and a terrible risk if you plan to do anything like drive or operate machinery. 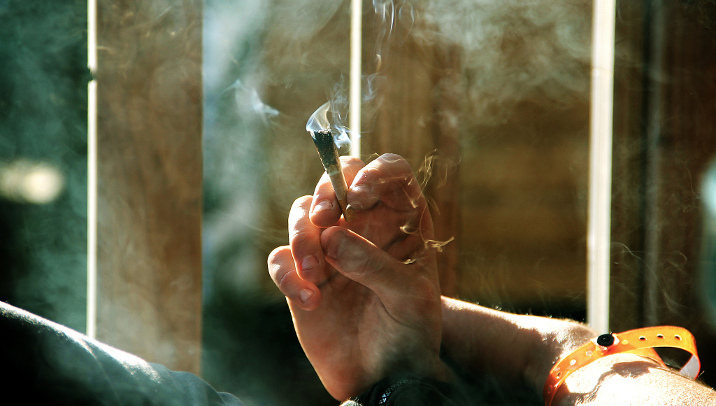 Pot smokers also run higher risks of developing mental health problems like schizophrenia and depression. Weed is less harmful than legal drugs like alcohol or tobacco, so keeping it banned is pure hypocrisy. In fact, cannabis has proven health benefits, from treating glaucoma to preventing epilepsy or easing the symptoms of multiple sclerosis. There are no health grounds to keep it illegal, it’s purely a cultural hangover from the days when pot was considered a dangerous, exotic import. Tobacco is more addictive than cocaine, but there is no sign that marijuana causes physiological addiction. If you ban pot, you may as well ban burger eating, bungee jumping or any other moderately risky pastime. Cannabis is highly addictive. Studies show up to one-in10 users develop dependence over time. Stopping marijuana use can lead to withdrawal symptoms like anxiety and irritability. Over half the 7.3 million people classified with illicit drug dependence or abuse in the United States are hooked on weed. Making it legal will mean more people will use it – including youngsters – and more people will become addicted. Legalising cannabis would take the trade out of the hands of criminal gangs. That would reduce their nefarious influence in both cannabis importing countries and the places where it’s produced. Legalized, pot could be properly regulated to ensure quality and safety – just like any other product. When it’s sold illegally on the street, nobody controls what dangerous substances could be mixed in with it. Freed from chasing hapless dope-smokers, law enforcement agencies could focus on dealing with hard drug pushers who do real harm. Legalizing cannabis won’t stop the drug gangs, they’ll just see profits boosted as it leads to more users and more addicts. Just look at Amsterdam where the liberal pot culture has spawned social problems from muggings to prostitution and hard drug use. The authorities there have been tightening restrictions. Research shows that heavy pot-smokers are several times more likely than non-users to commit violent crime. Estimates in the United States suggest legalising marijuana would make the country about $18 billion better of every year. The gains would come from tax revenues on pot sales and savings to the justice system – including the cost of keeping smokers in jail. Since prohibition is never going to stop people smoking dope, the state may as well make money out of it. Colorado raked in more than $5 million in the first week after legalizing retail sales. It could also be a major boom to the economies of producing countries. One Jamaican company recently struck a $100 million deal to supply Colorado with medicinal ganja. The use of soft drugs, such as marijuana, leads to the use of hard drugs. Addiction experts regard weed as a gateway drug that potentially introduces users to more serious substance abuse. Research in New Zealand found regular cannabis users were 60 times more likely to try other illicit drugs than young people who had never smoked cannabis. Cannabis itself is getting stronger. The stuff puffed by hippies in the 1960s had around 1% of tetrahydrocannabinol (THC), the chemical responsible for most of marijuana’s psychological effects. Today’s THC levels can run to over 30%. Want to debate this question with others? Join our debate “Should cannabis be legalised across Europe?” and add your thoughts in the comment section!